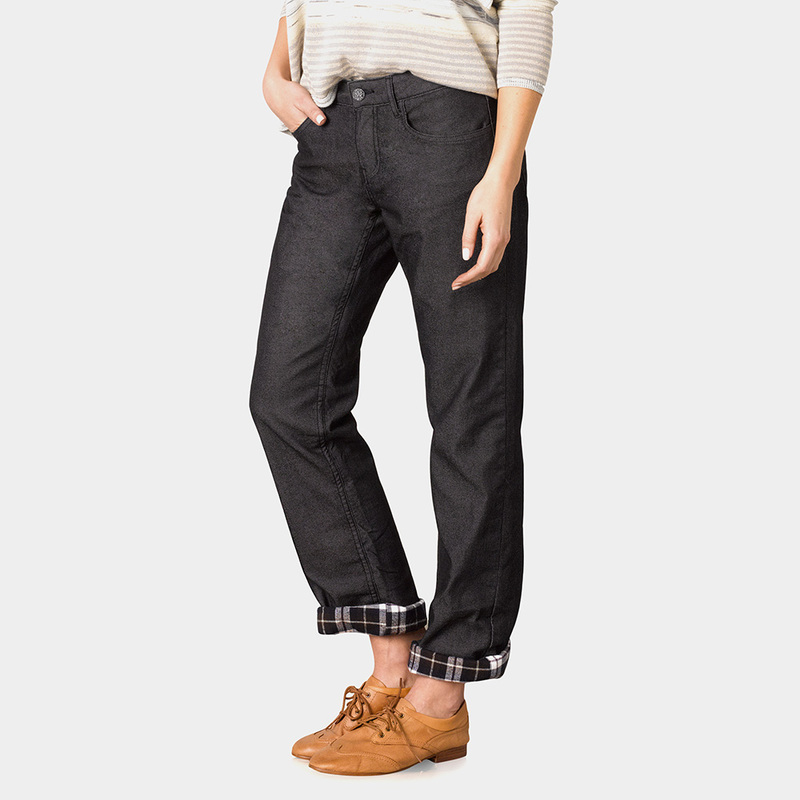 The Lined Boyfriend Jean from prAna is a favorite. A cute, looser fit is made extra special with a super-comfy flannel lining. These are great rolled up a bit to show the plaid underneath. Whether you're out and about, curling up on the sofa, or enjoying apres ski, they're perfect for braving cold weather with style and coziness. 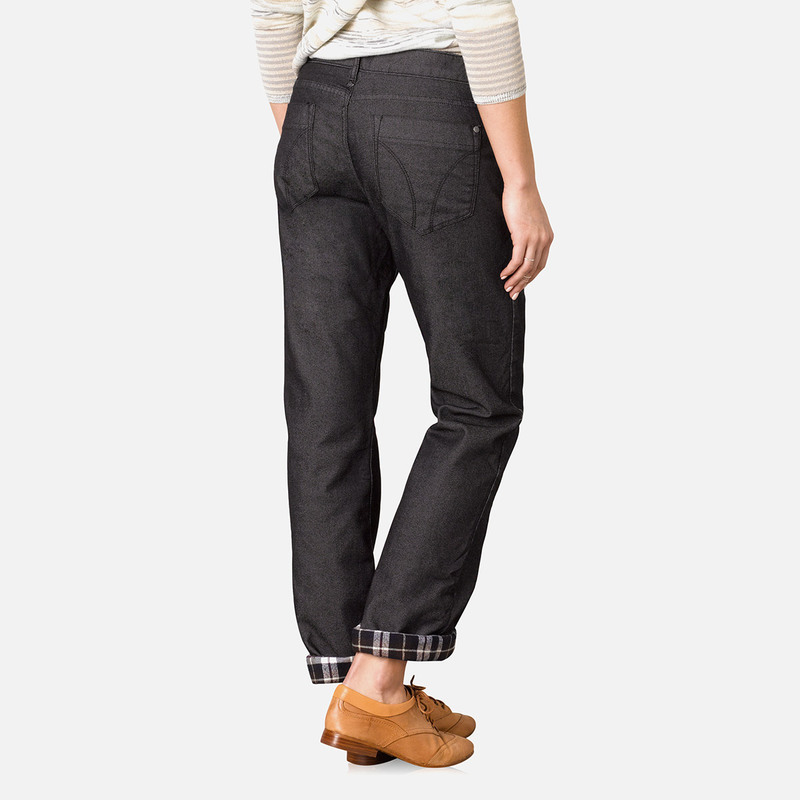 I have the black jeans with a nice grey, plaid flannel lining. Size 8- my normal size - fit perfectly- there is a little stretch in fabric that helps give a better fit.. 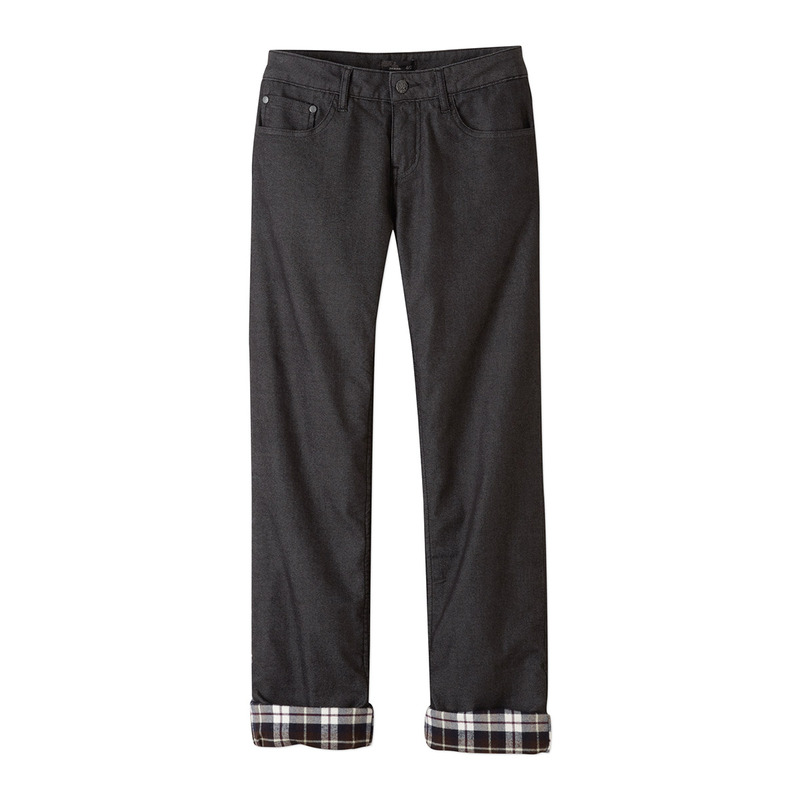 The pants are comfortable in the house but are great for the very cold winter days outdoors. PRANA (ANCIENT SANSKRIT MEANING "Life, energy, and vitality of the soul") clothing is the ultimate in high-performance active wear - inspired by the passions of the founders, who are avid yogis and climbers. prAna apparel has attracted many of the world's top outdoor athletes (Chris Sharma, Tiffany Campbell) and yogis (Baron Baptiste, Pattabhi Jois). 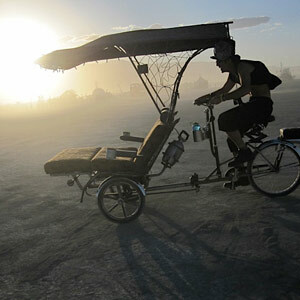 This is an amazing company, filled with great people who believe in what they do.